Unearthed Fine Veggies & Herbs is an organic farm in Kelowna. We grow our produce for local chefs and for a weekly veggie program, or CSA, for eaters in Kelowna, Westbank and Peachland. Click here for more info. Spring is tardy. Not much to do but build out the harvest fleet. These beauts will help us haul our produce from field to wash station. Vanessa and I want to introduce you to Levon Samur Marr. You say it like Leevon, but we didn't like that spelling. 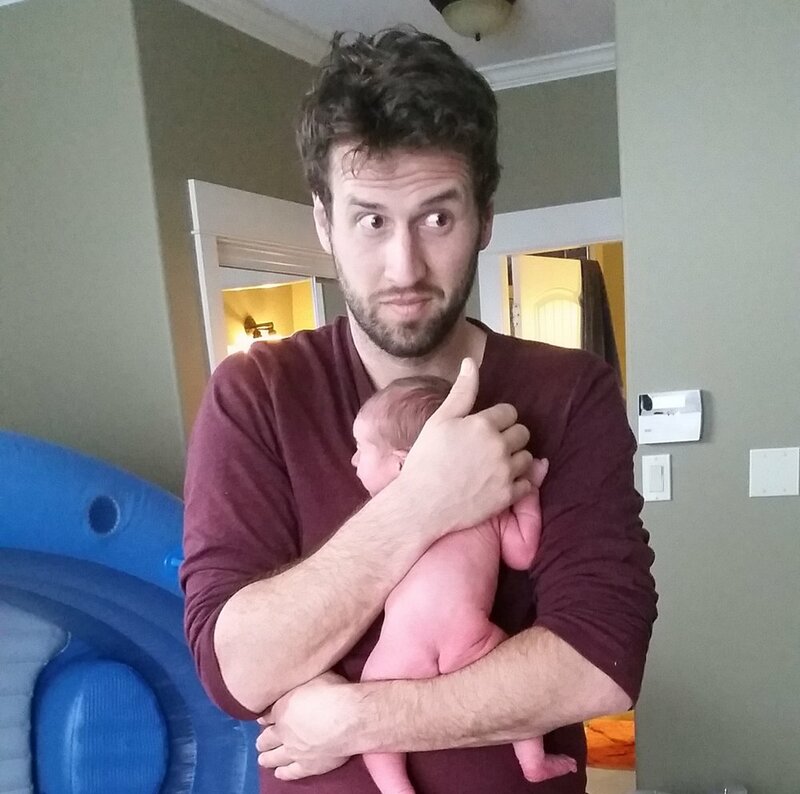 Our boy was born on February 3rd, weighing a svelte seven and six. 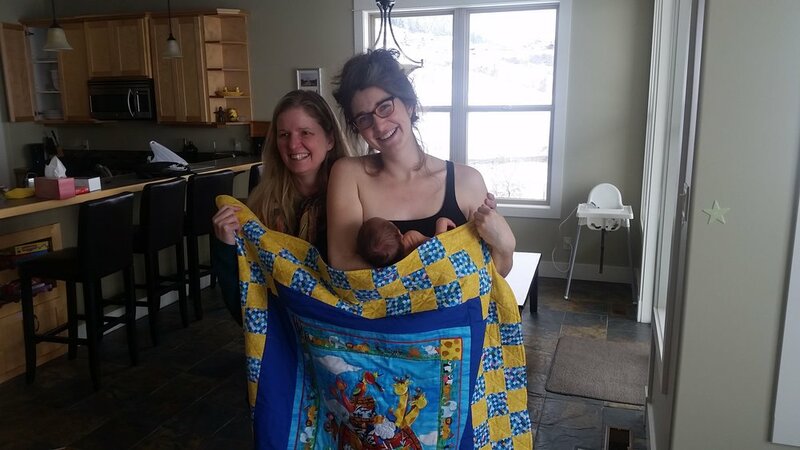 Our comfortable, wonderful home birth woudn't have been possible without a few people providing some crucial elements. Jeanette, Laura and Steph at Born Naturally Midwifery Services for the you know what. Kathryn and Christian Hluchy for the home. Alex Ess and Jenny Em for the kind of doula support that could only have come from a big sister and a dear friend. Veronica Samur for being a source of calm no matter what. And all the rest who provided advice, gifts, meals, visits, and support for this baby so far. We really appreciate it. We're excited to announce the continuation of the weekly veggie program we've been offering for six years. Our new farm is based in Kelowna, and we'll offer the program to residents of Kelowna, Westbank, and Peachland. For Kelowna, we'll likely be offering home delivery for certain neighbourhoods, and one or more pick-up spots for everyone else. For Westbank and Peachland, we'll be setting up one or more pick-up spots for each town. Our weekly program offers custom ordering for those who want it, and curated orders for those who just want us to choose for them. To get on our contact list for the program, or for more info, please visit this link. Here's where you'll find more info about our weekly veggie program for Kelowna, Westbank, and Peachland residents, and a sign-up form. 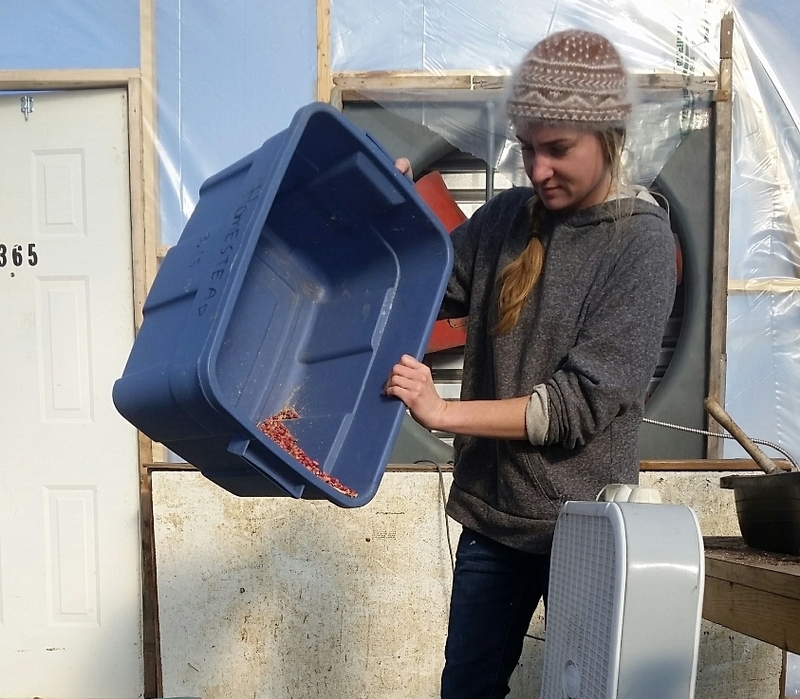 It's too cold around the farm to do much more than winnow the cranberry beans we saved from last year's shelling bean crop. Pictured: Kristie, our newest helper, and beans. The new website for Unearthed Fine Veggies & Herbs is live. To celebrate, here is a photo from when I unearthed this year's main seed order.